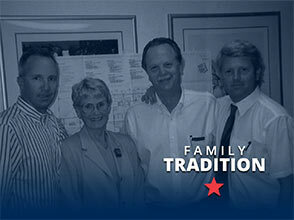 Mission Rubber Company was founded by Ben Bryan Garrett, a plumber who believed no obstacle was insurmountable. 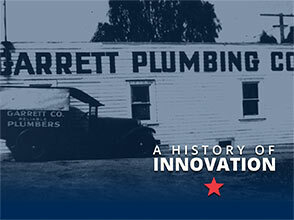 During the difficult years of the Great Depression, Ben’s pioneering spirit led him to expand into the underground utilities business, which included the installation of sewer, water and utilities infrastructure. After World War II (post-1945), business grew as the Southern California economy began to revive. Housing starts were booming, and demand for clay pipe became so high that Ben had trouble finding enough raw materials from local manufacturing. He met this challenge head-on by purchasing a brick factory south of Los Angeles and converting its equipment to extrude clay pipe. 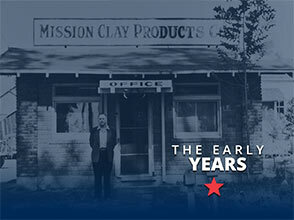 The new company, Mission Clay Products made its first sale on July 9, 1951. When Ben bought the factory, clay pipe was joined together via “bell and spigot” connections, and sealed by pouring concrete into the joint. Unfortunately, the bells had a tendency to break during manufacturing. Ben realized he could reduce scrap rates by eliminating the bells, which required a new way to connect the pipes. 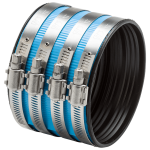 Working with a local rubber manufacturer, he engineered and designed prototypes of the modern flexible sewer coupling, changing the industry forever. Once again Ben faced challenges finding the materials he needed, so in 1958 he launched the Mission Rubber Company with the sole purpose of “making something that works.” He soon realized that other pipe materials could benefit from rubber joints, and identified the need for adapter couplings that could transition between different pipe materials and sizes. Ben’s invention of the Band-Seal® Shielded Transition Specialty Coupling, patented in 1971, launched a revolutionary product line that catapulted the company far beyond the clay pipe industry. In addition to expanding its existing underground utilities business, Mission began serving the plumbing or above-ground drain, waste and vent (DWV) market. 1971 was also the year Charlotte Garrett (Ben’s daughter) joined the Mission Rubber team. Ben quickly realized she had the potential to take the company to new heights, and turned Mission Rubber over to her that same year. For four decades, Charlotte was the passionate, motivating and dedicated force responsible for growing Mission Rubber into the global industry leader it is today. 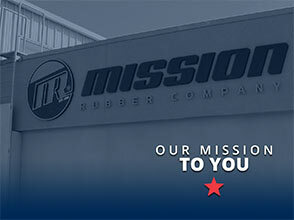 Mission Rubber Company continues as a family owned and operated business. 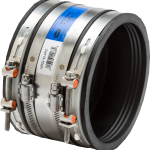 You’ll find the broadest line of products in the industry for connecting, adapting, reducing, repairing, capping or testing almost any type of pipe, used in sewer and drain, waste and vent (DWV) applications. More than three generations of satisfied customers have made us the leading supplier of high-performance, code-approved products to the construction industry. The new millennium has also inspired a new Mission, as we join forces with environmental stewards dedicated to making the world more sustainable. Mission’s products remain the only couplings that are environmentally certified, even as we work to reduce our company’s carbon footprint. 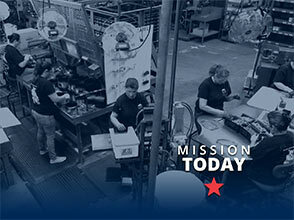 At Mission Rubber, whether pipes or people, we strive to create connections, for good.